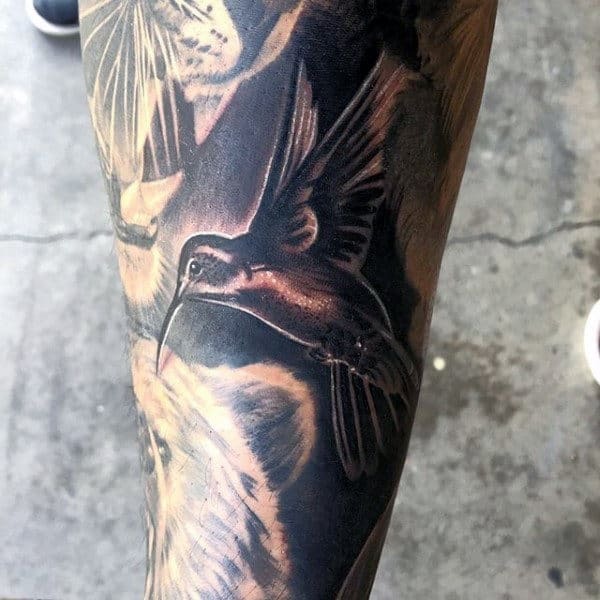 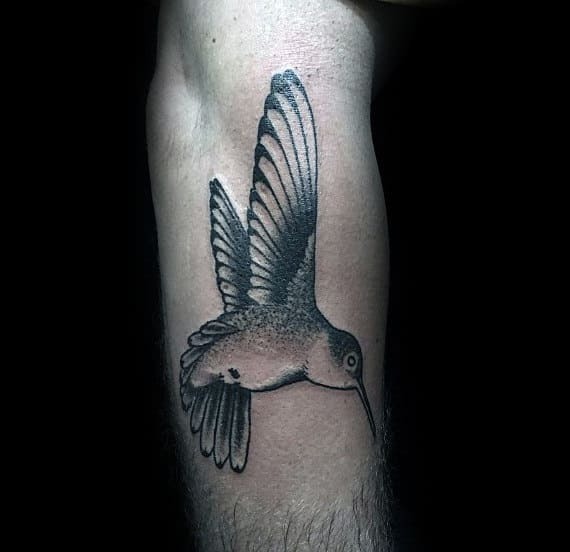 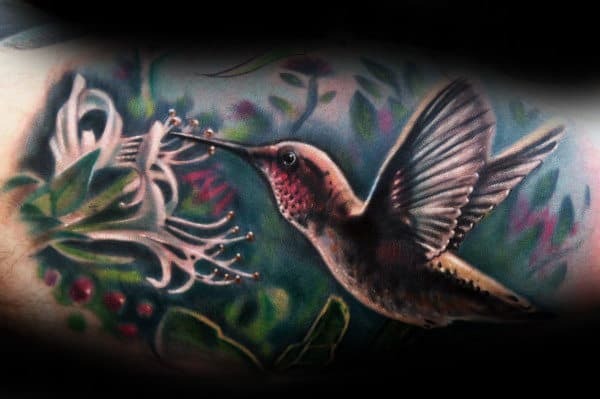 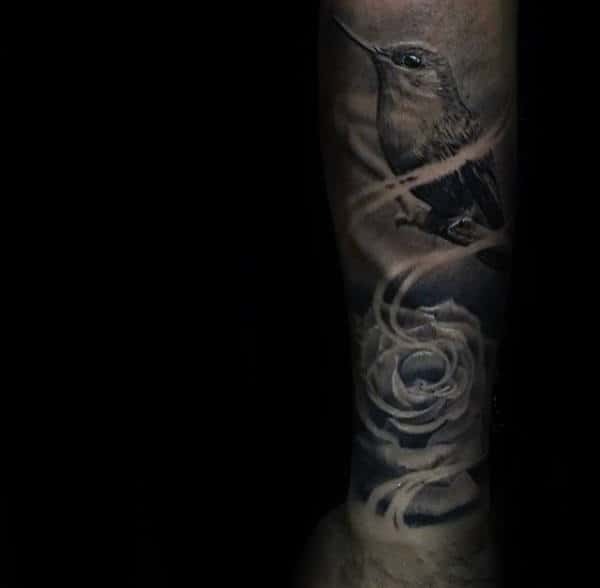 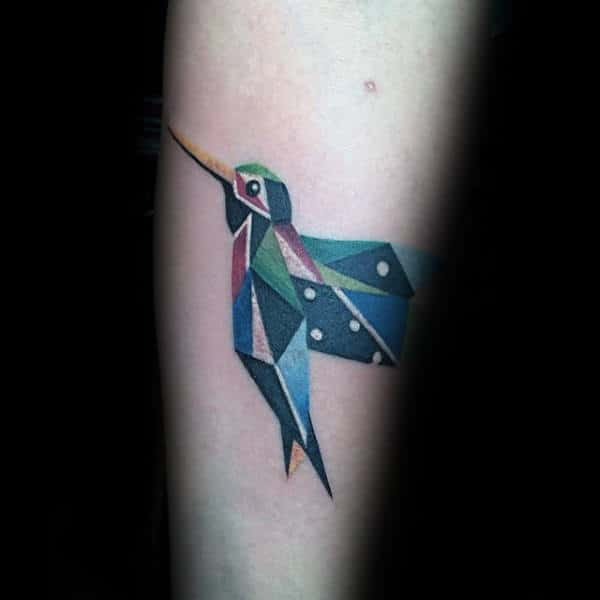 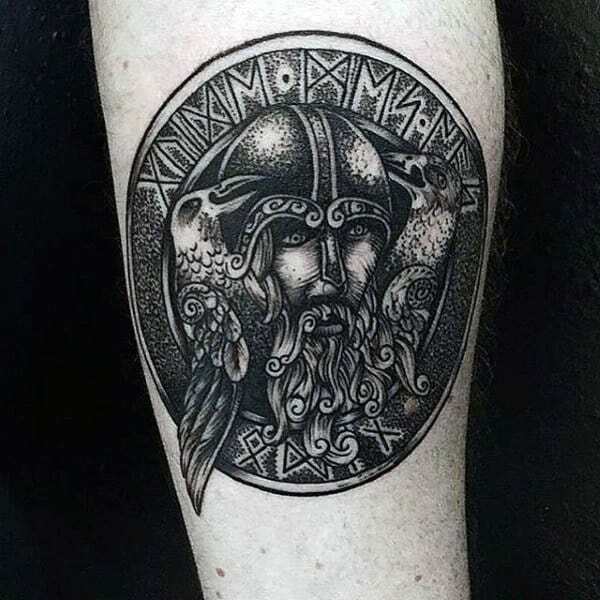 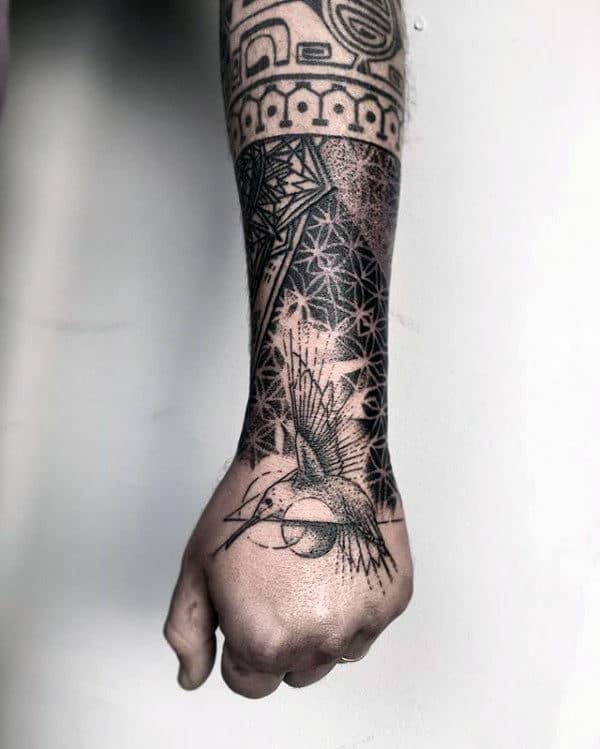 Hummingbird tattoos enshrine the deepest expressions of bliss imaginable, and these fluttering creatures are deeply symbolic insignias on every level. 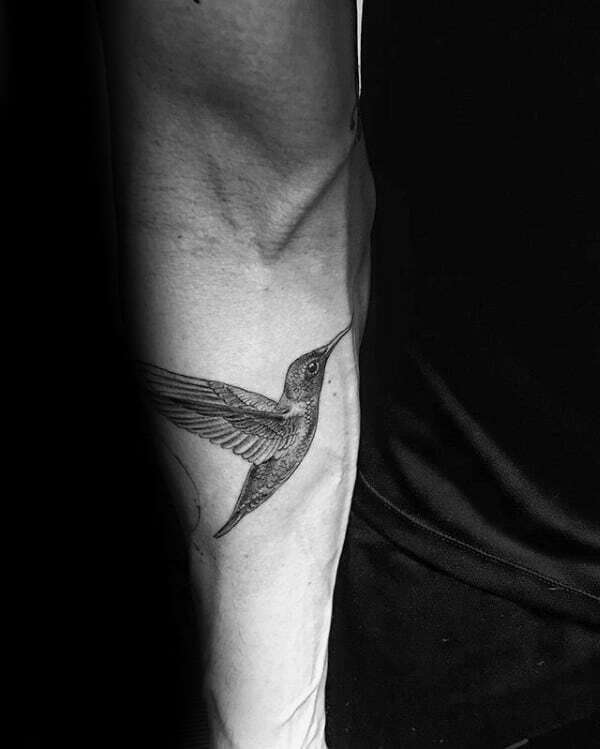 Their incredible meaning is a cause for everyone to rejoice! 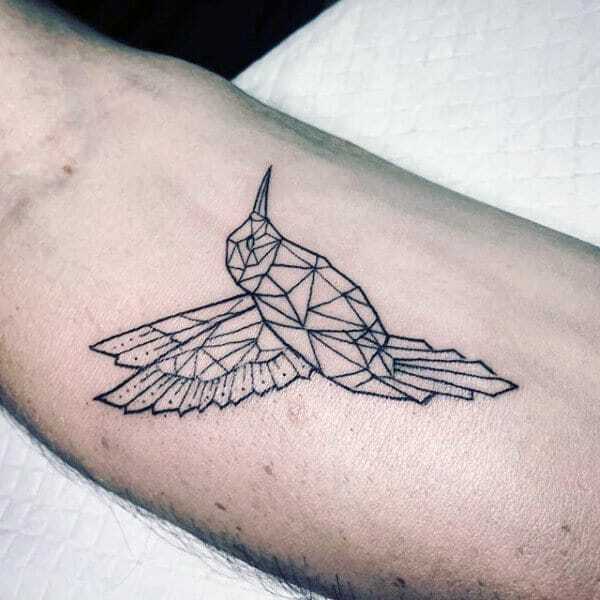 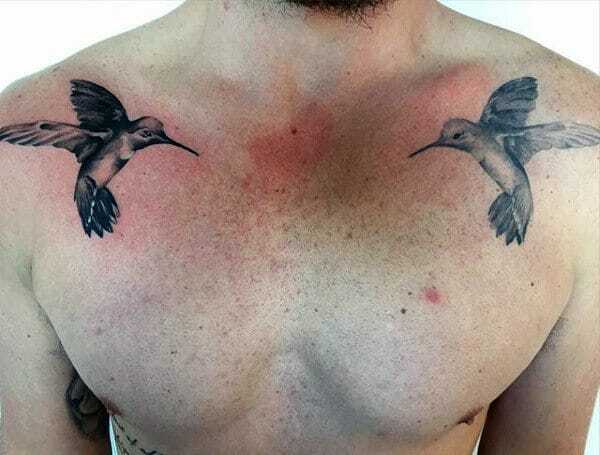 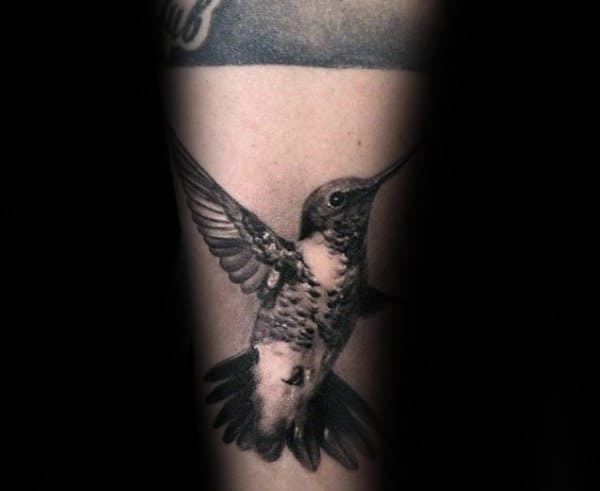 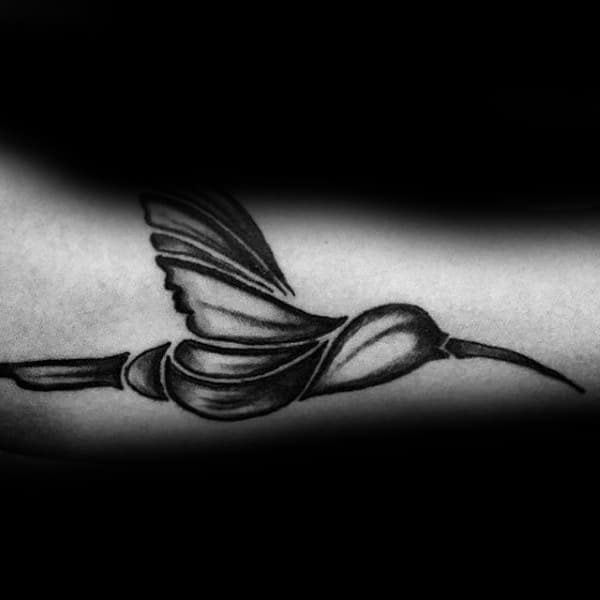 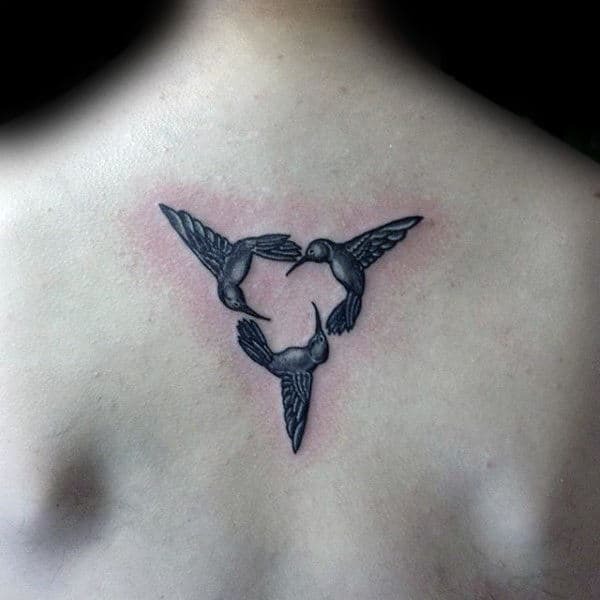 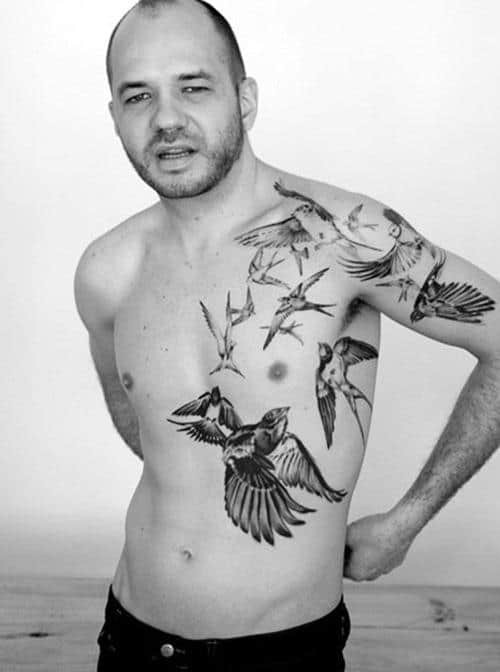 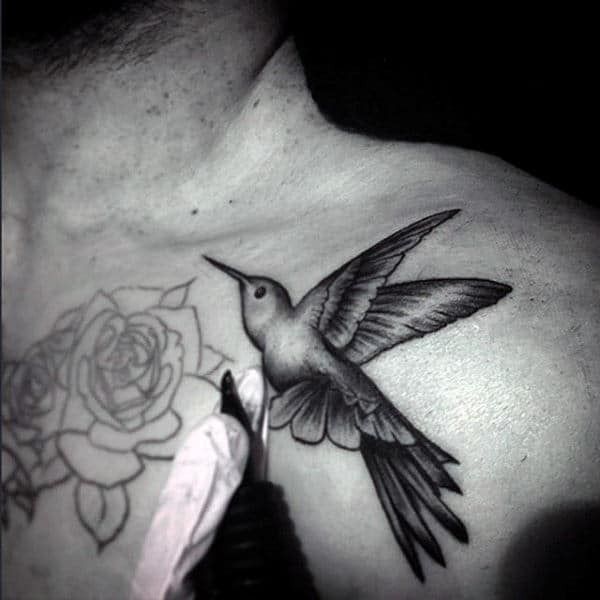 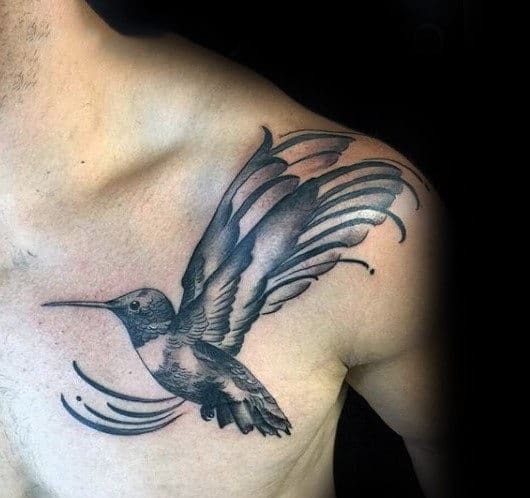 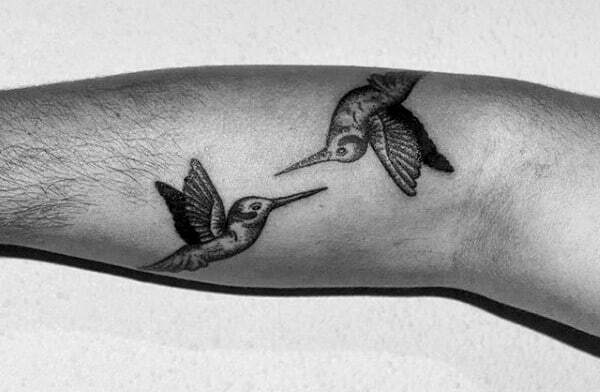 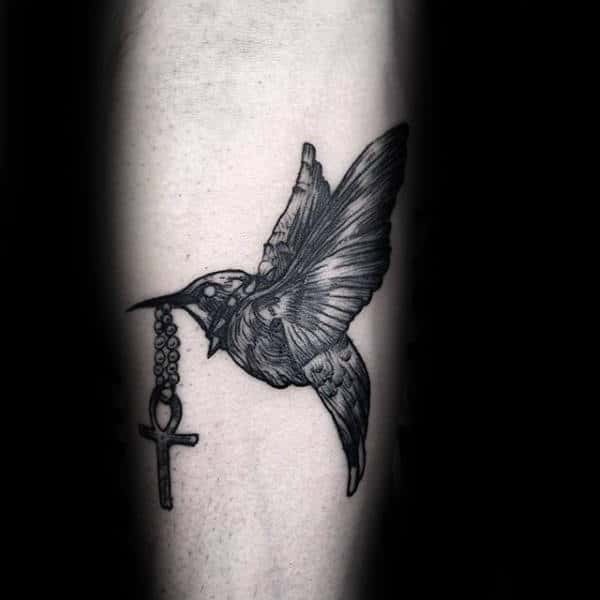 Without a doubt, the best symbol for love and joy is definitely a hummingbird tattoo. 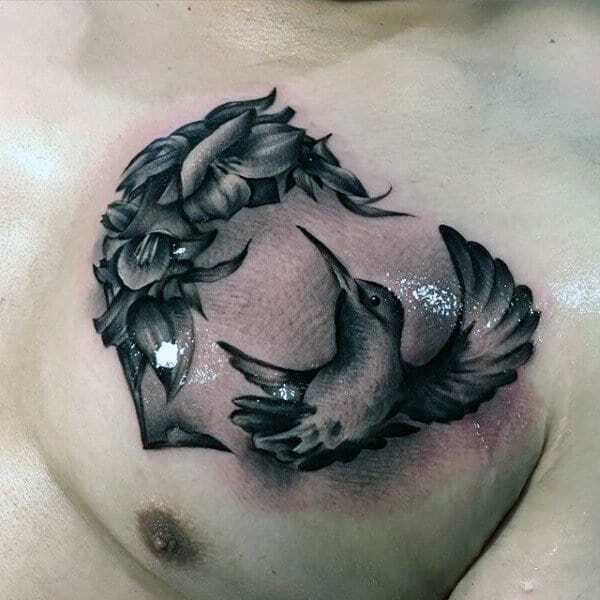 These miniature animals are metaphysically equated with a variety of inherently esteemed characteristics, so their depiction automatically offers a bounty of positivity. 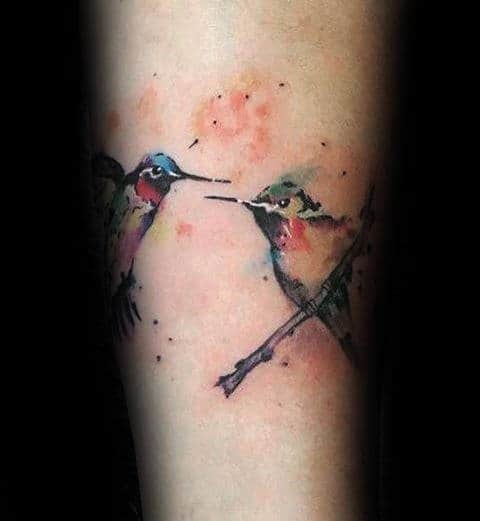 Their elusive persona makes them a serenely rare gift of nature. 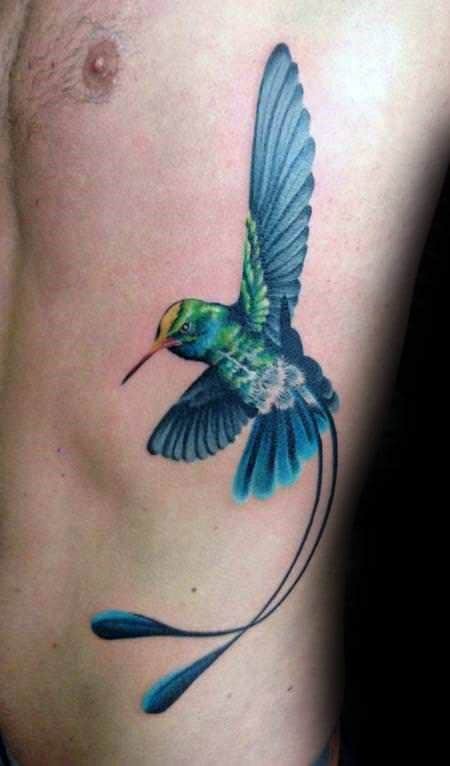 Because they move their wings in a sideways figure-eight, hummingbirds are often thought to be associated with infinity. 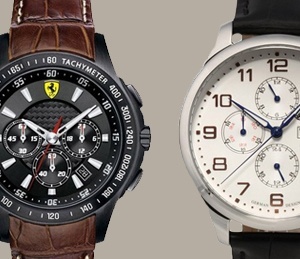 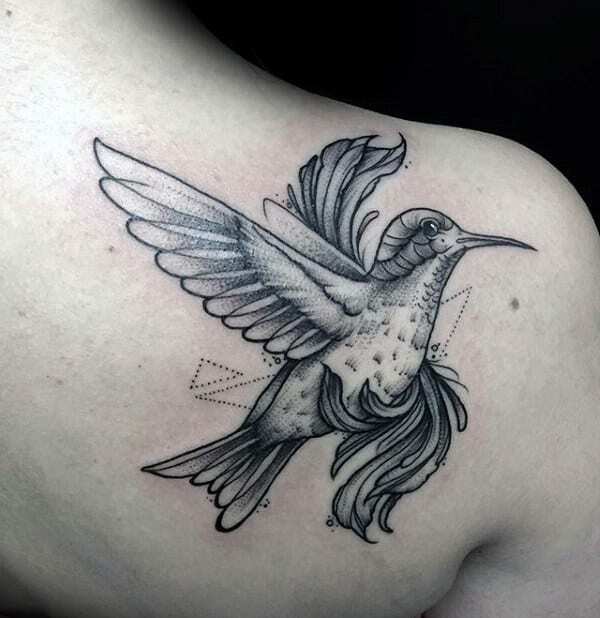 Their speedy movements are an inspirational sight to behold, and their capacity for backwards movements is sometimes attributed to quantum leaps. 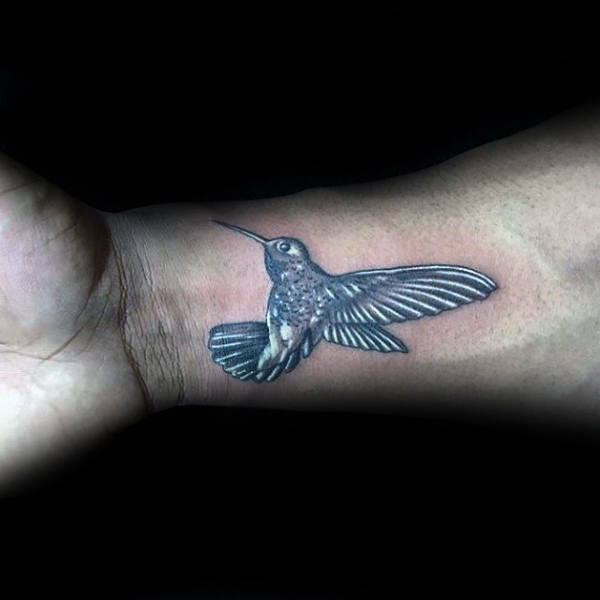 These quaint little friends are extremely fond of nectar, so a hummingbird tattoo will constantly remind you to focus on the sweet things in life. 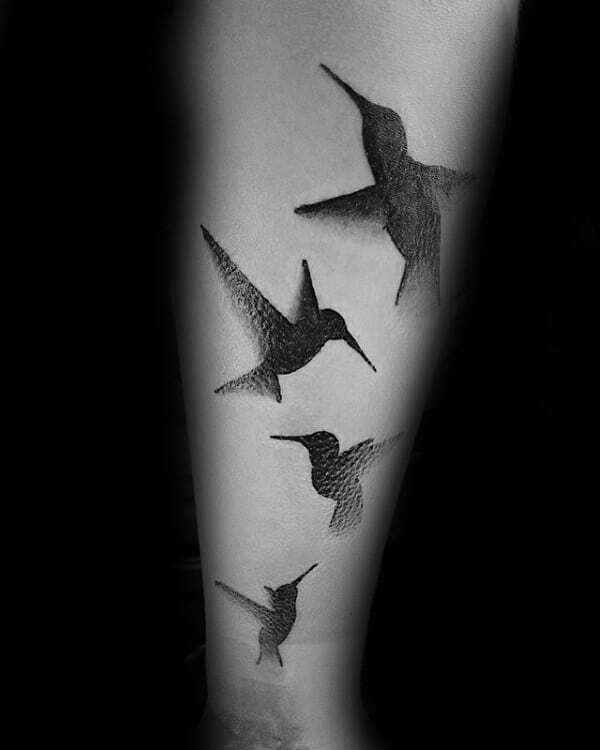 They also do not fare well in captivity, so the birds are regularly attached to the importance of freedom. 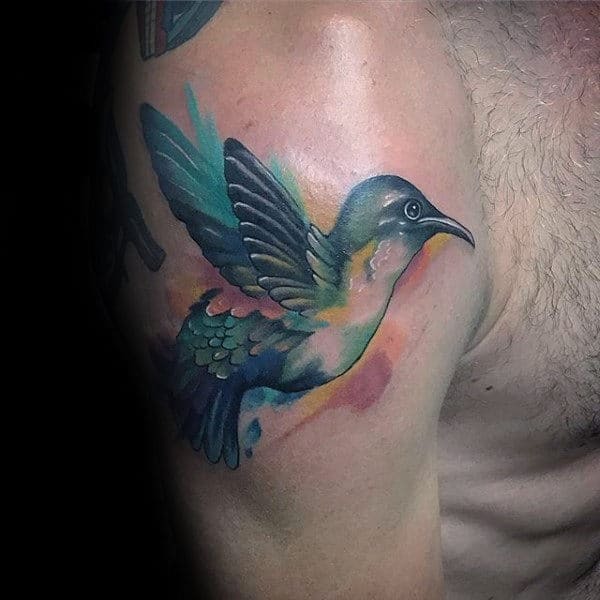 From an aesthetic point of view, these flying critters are richly colorful. 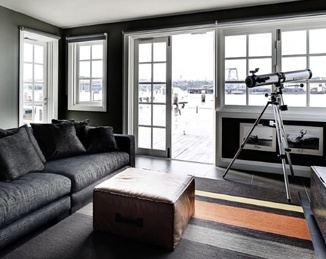 They are guaranteed to earn a happy reception with their startling hues of yellow, green and ruby. 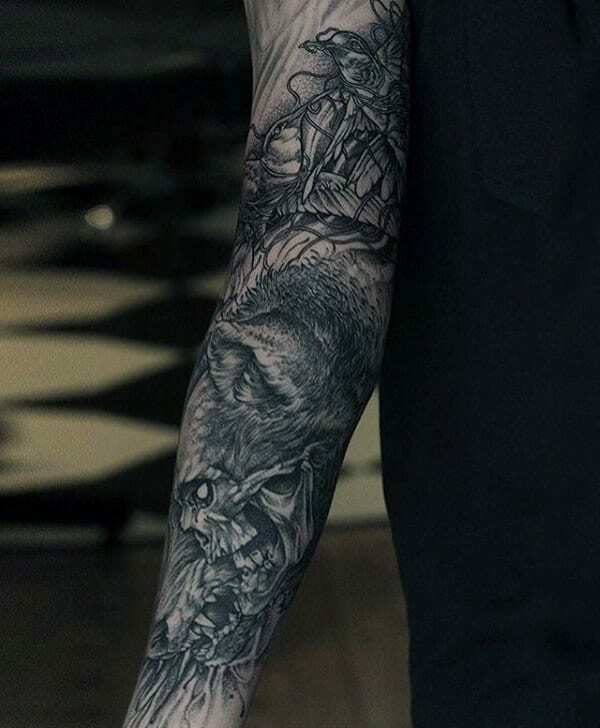 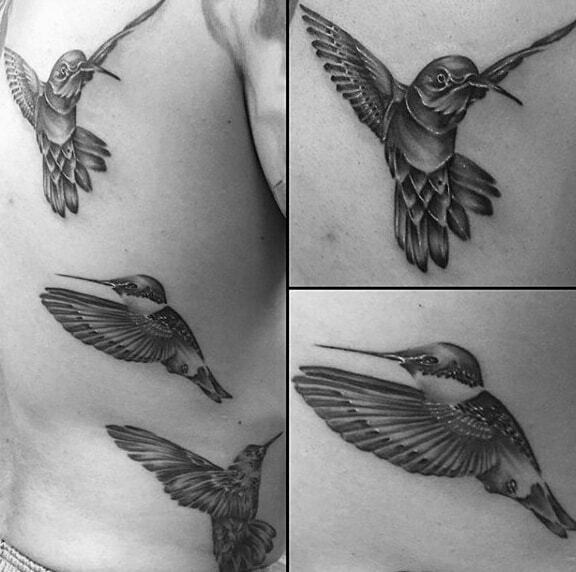 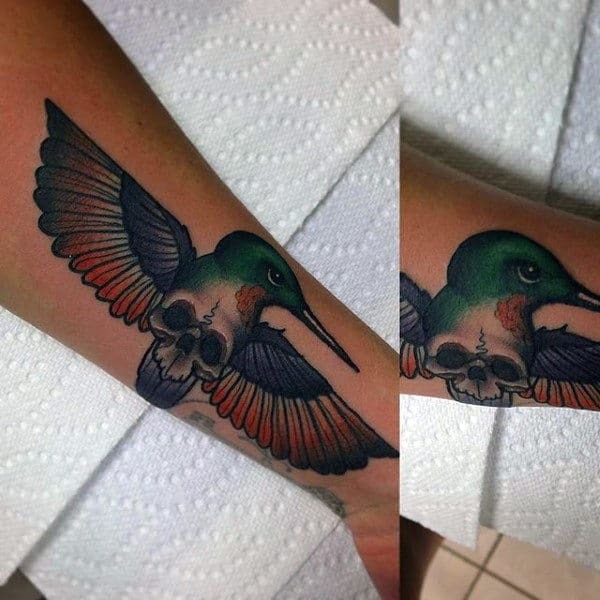 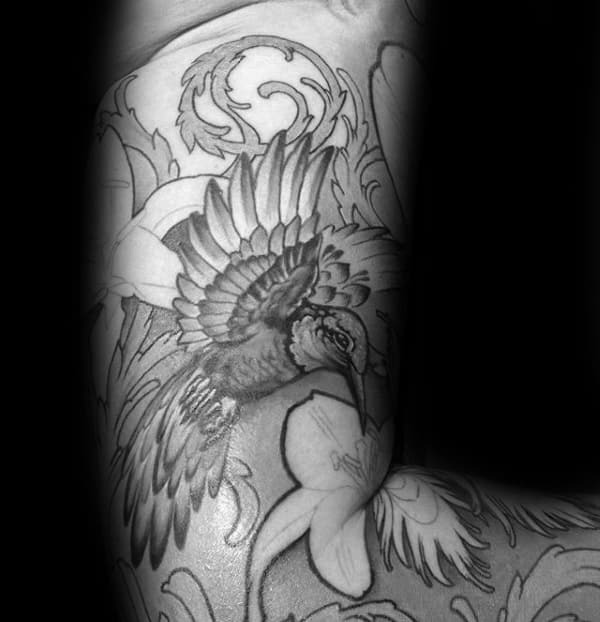 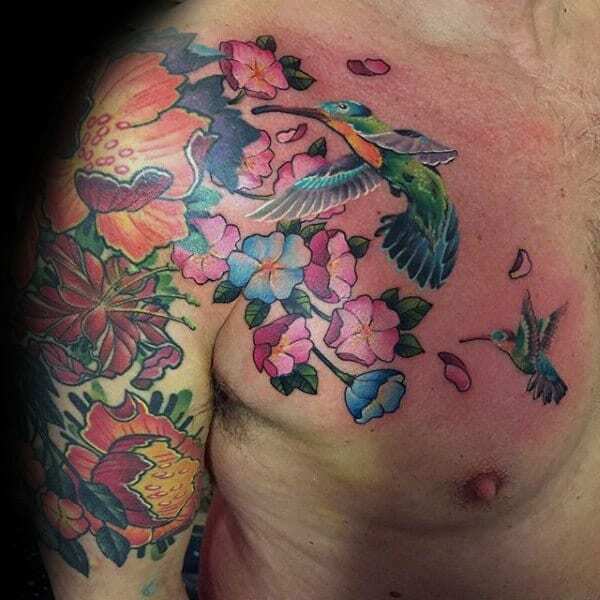 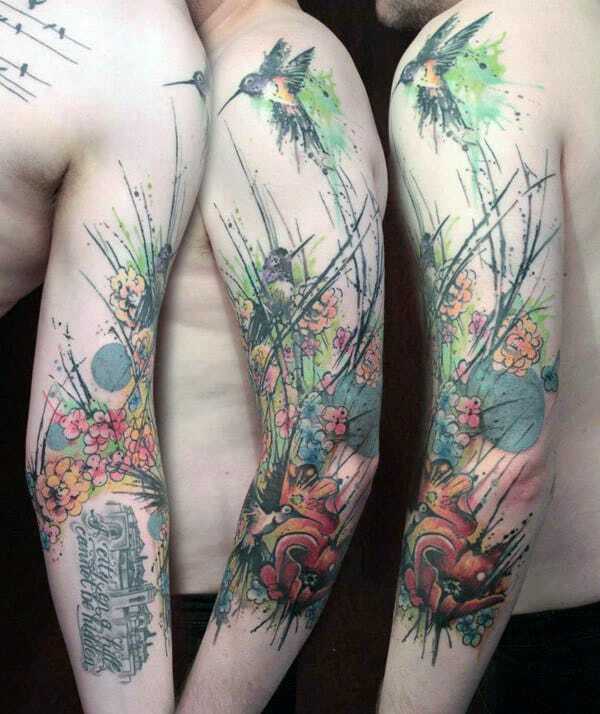 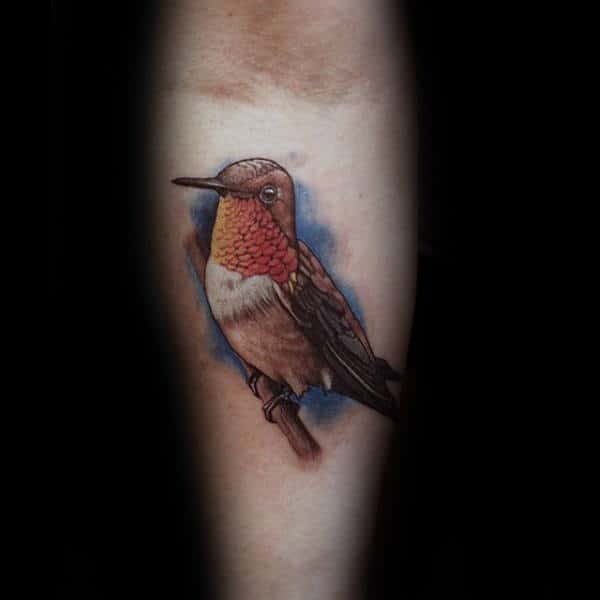 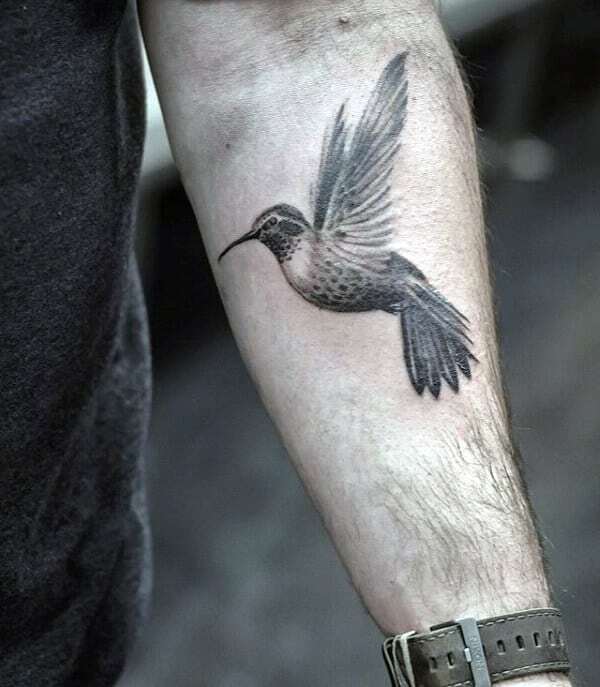 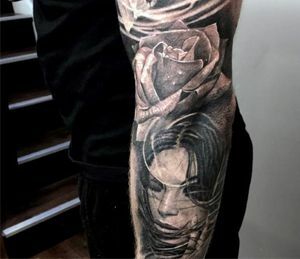 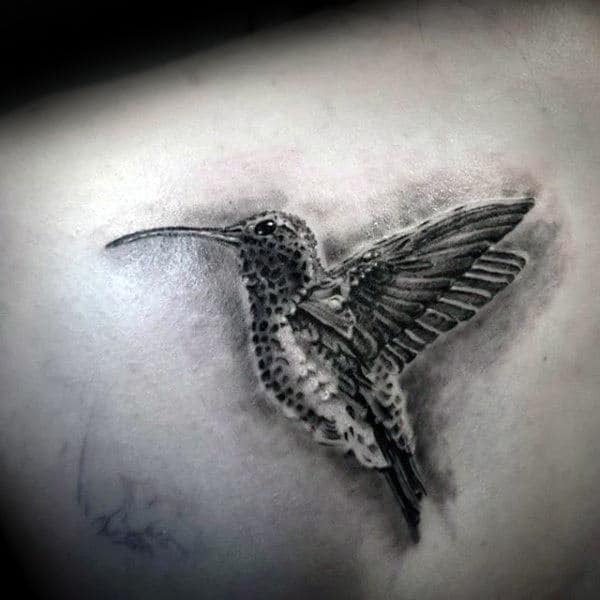 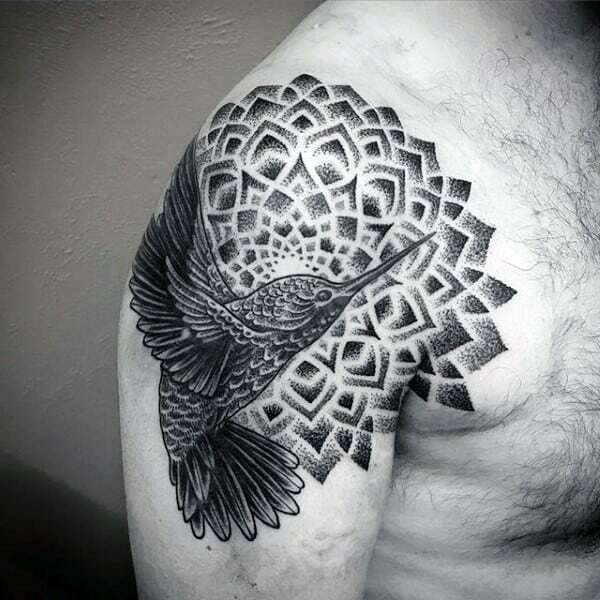 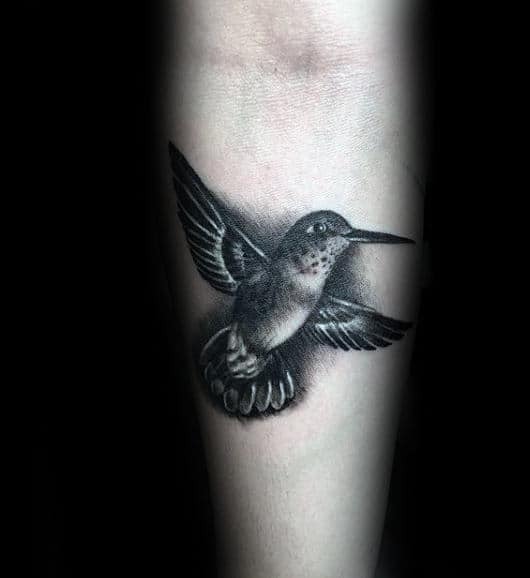 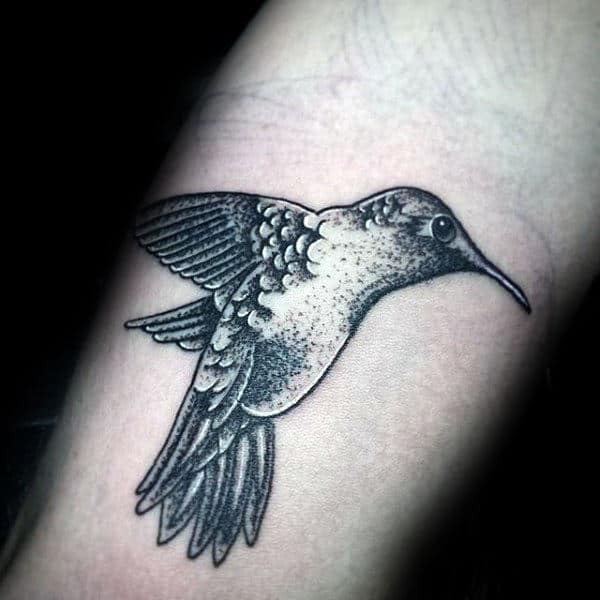 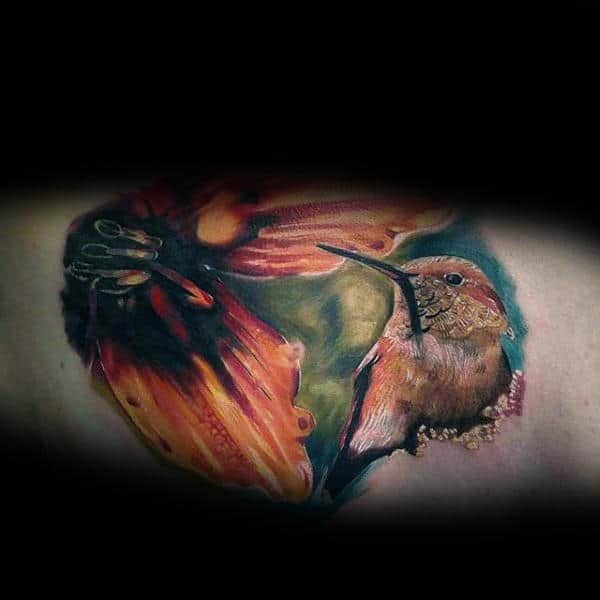 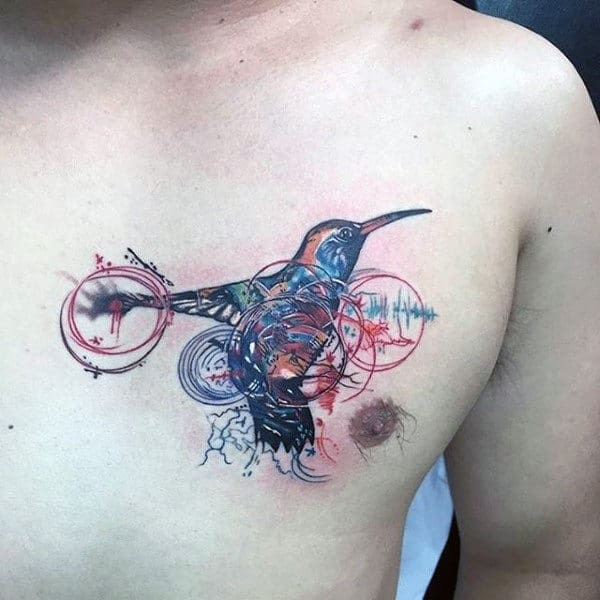 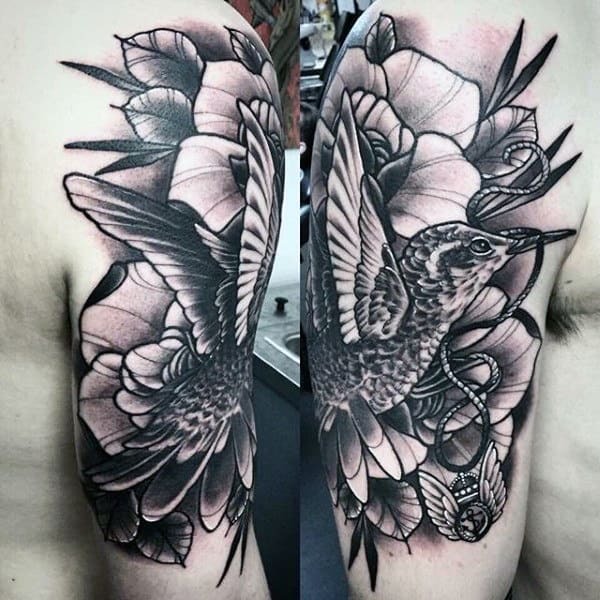 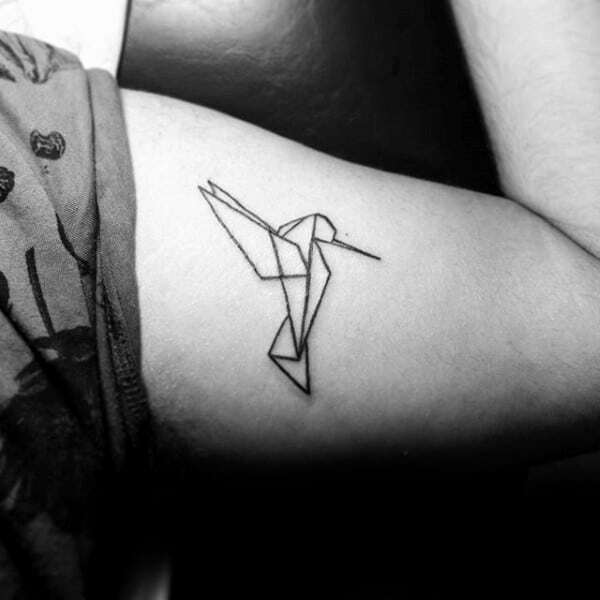 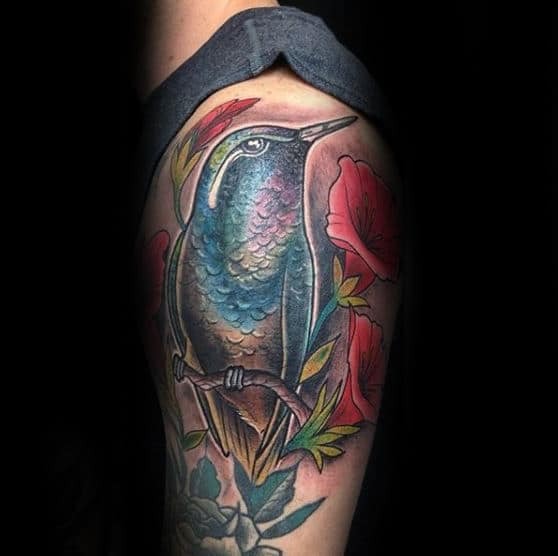 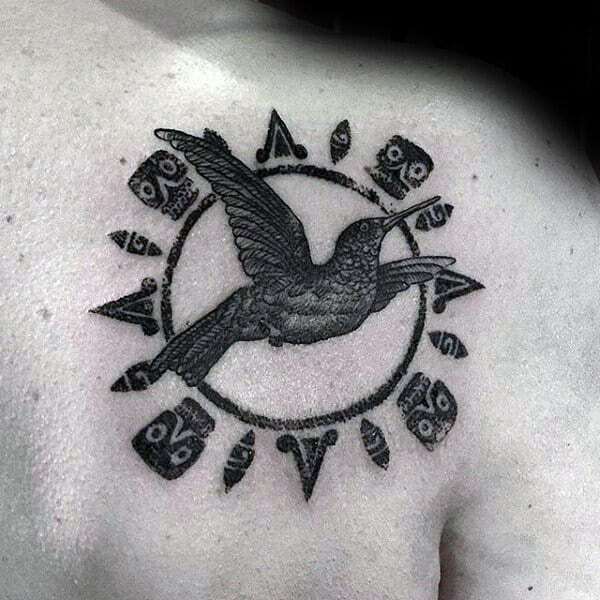 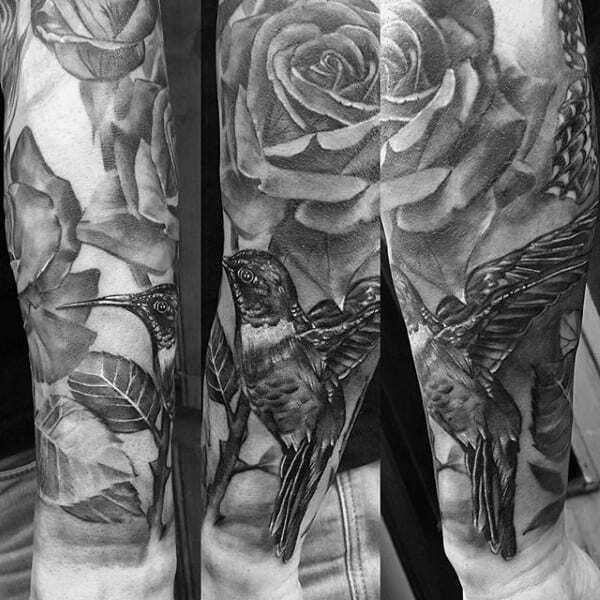 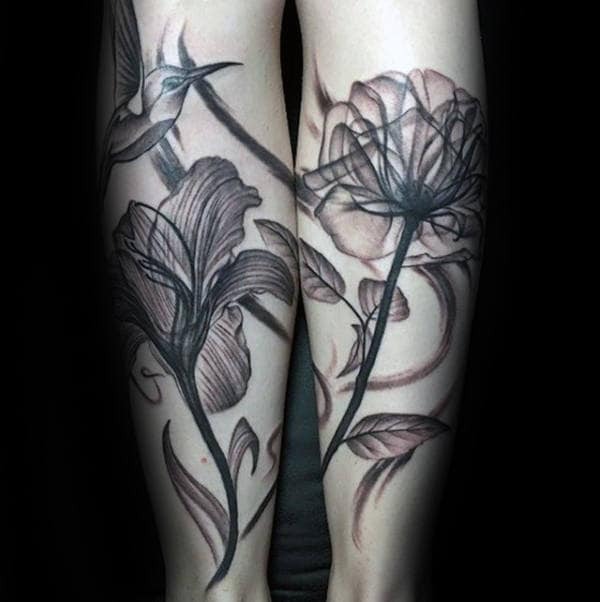 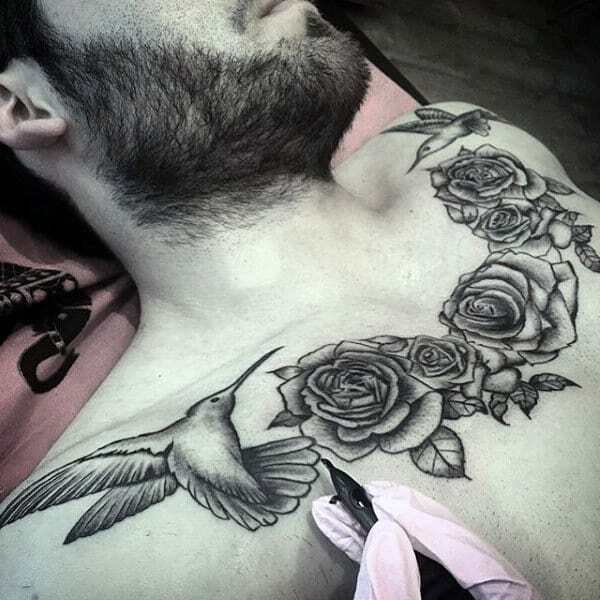 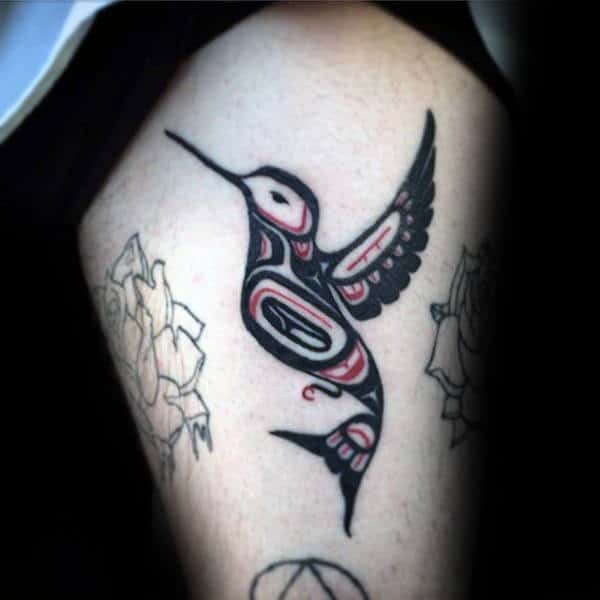 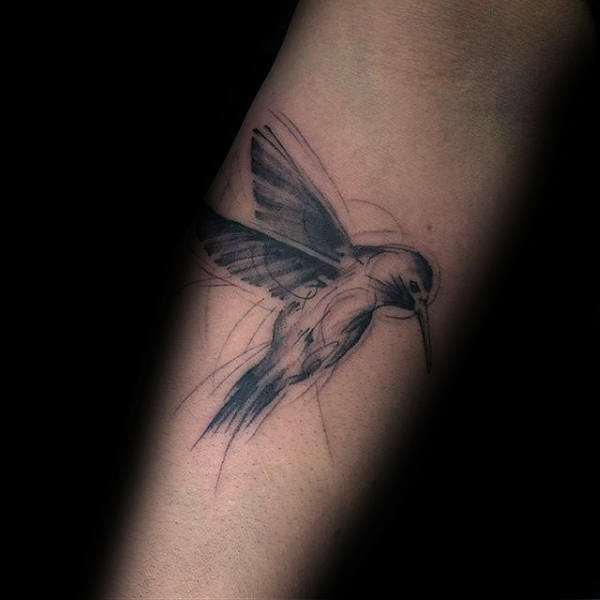 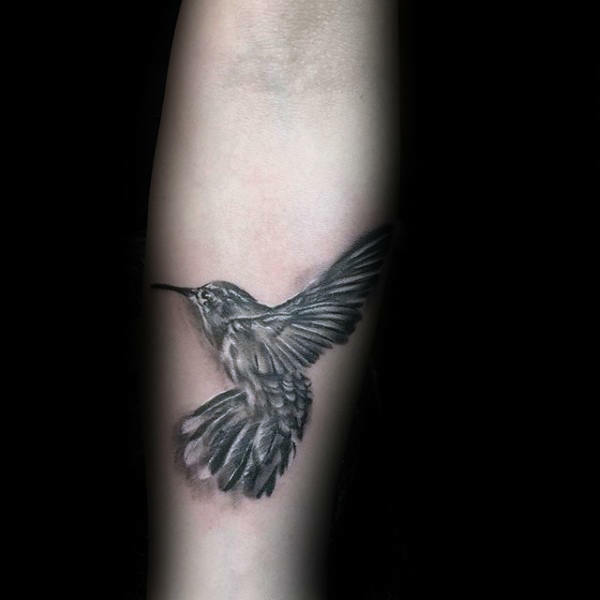 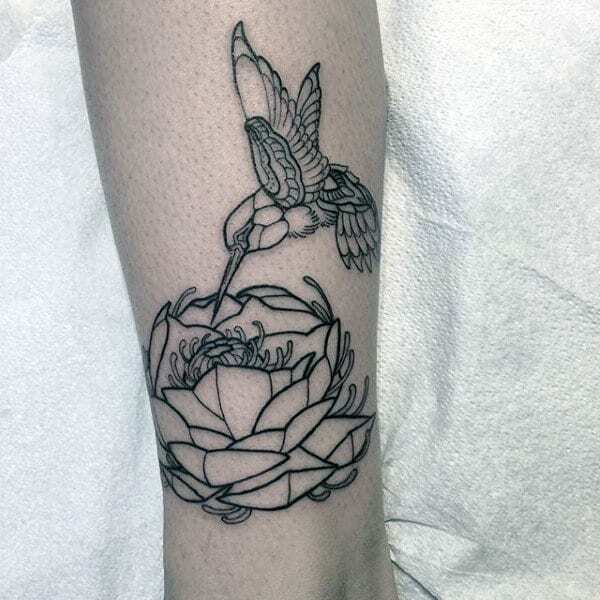 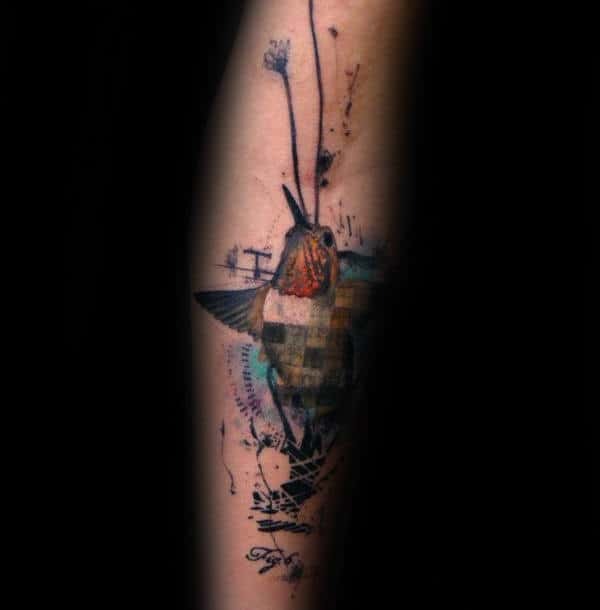 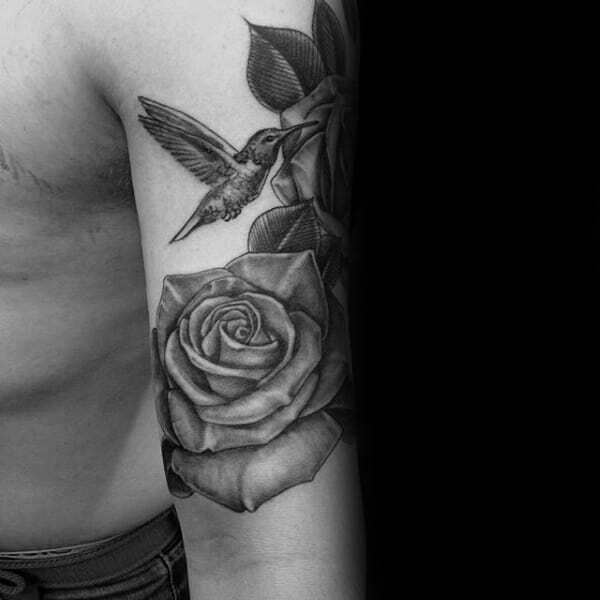 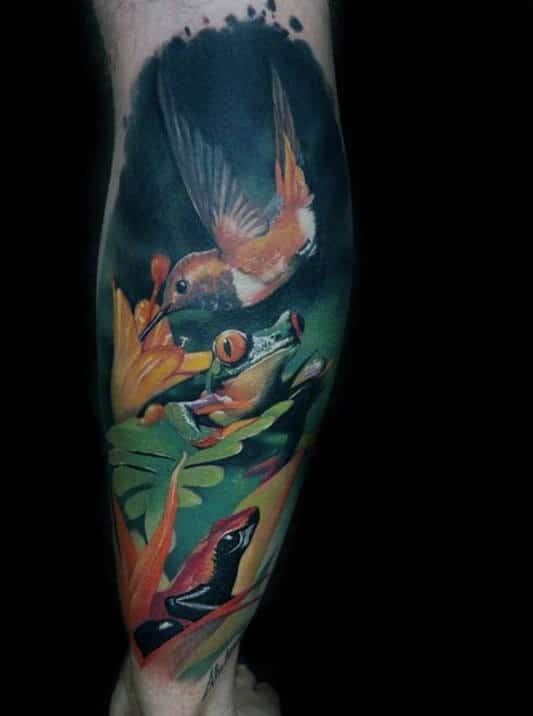 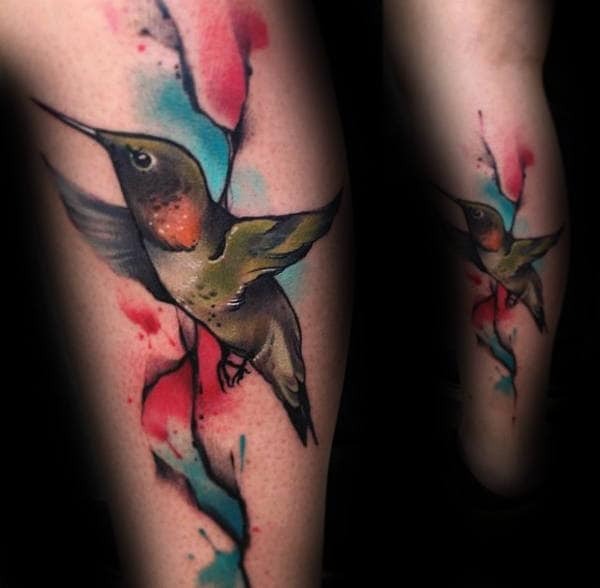 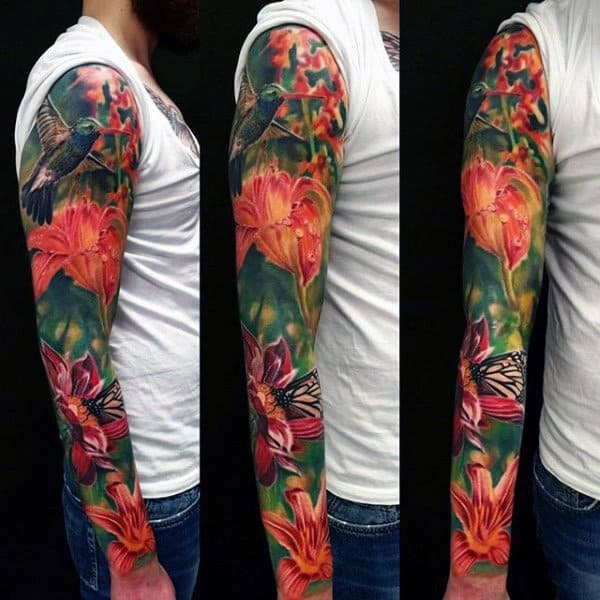 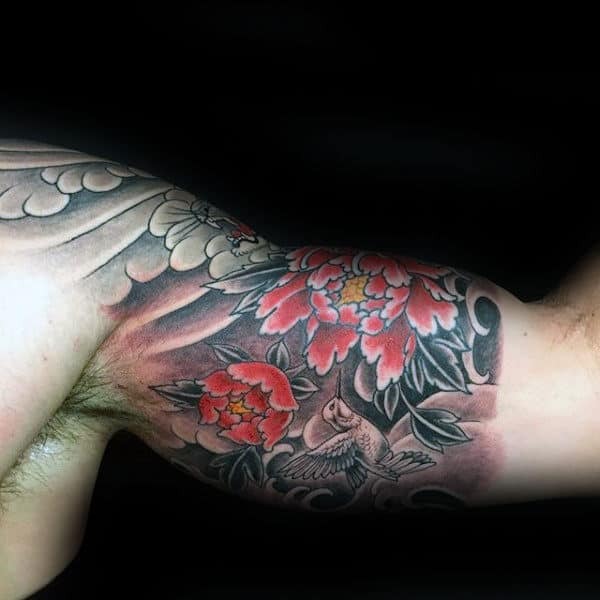 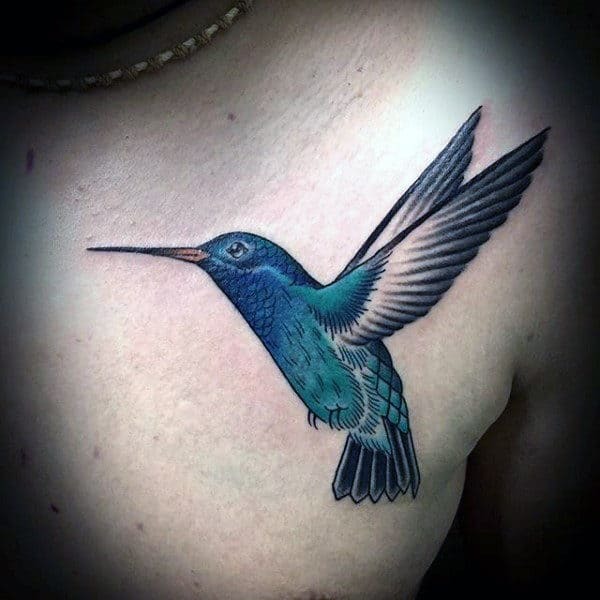 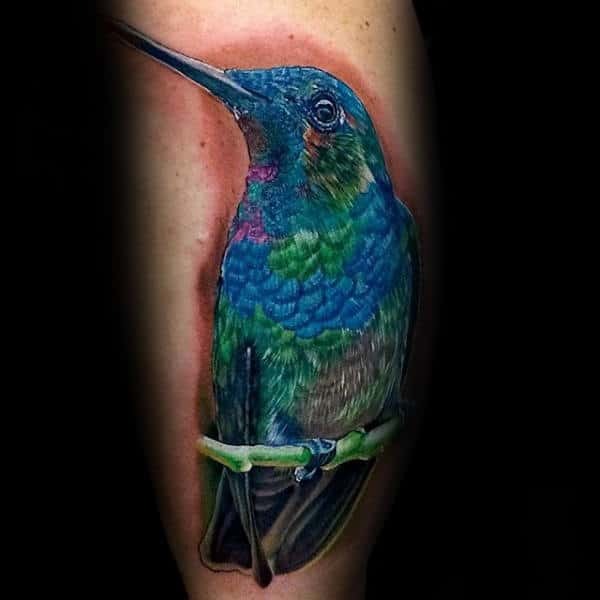 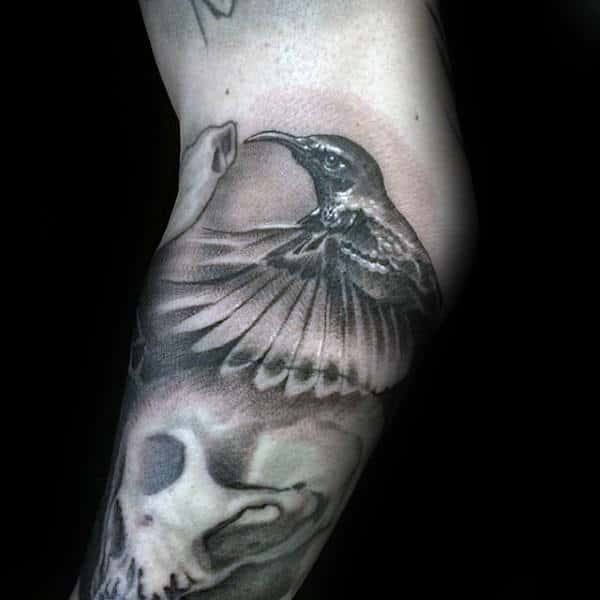 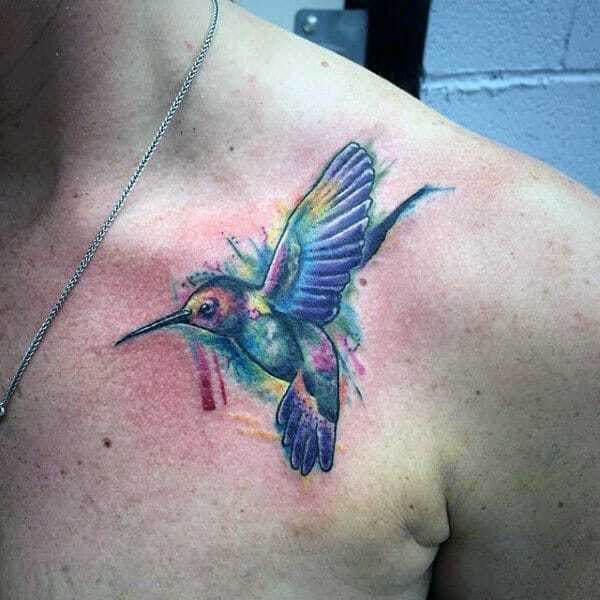 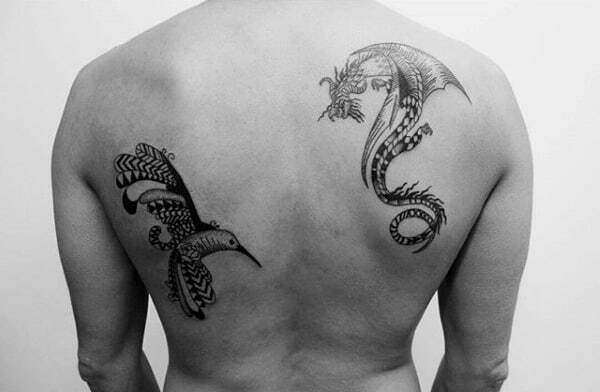 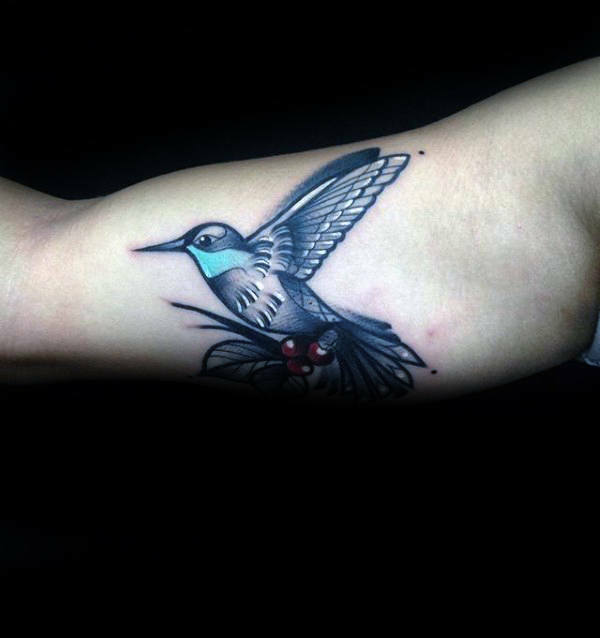 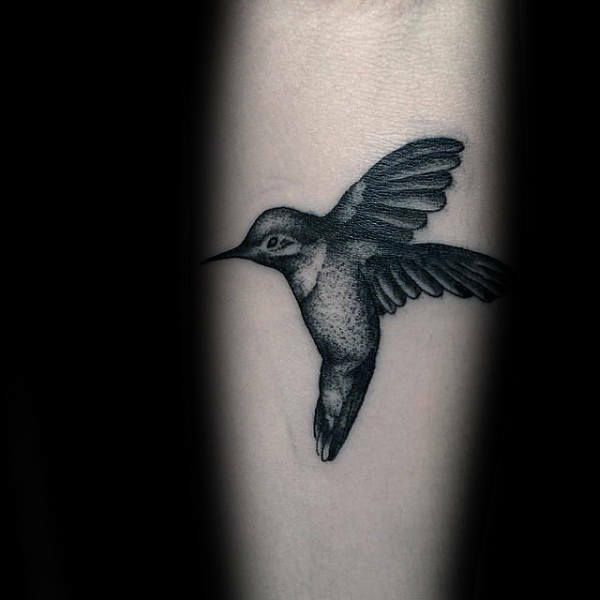 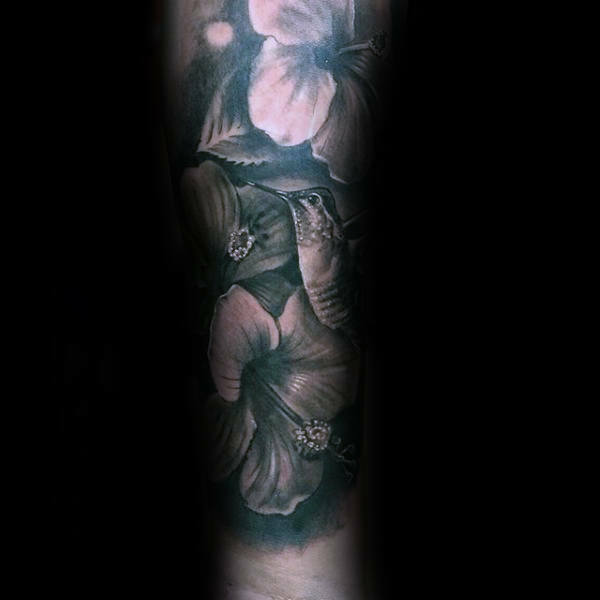 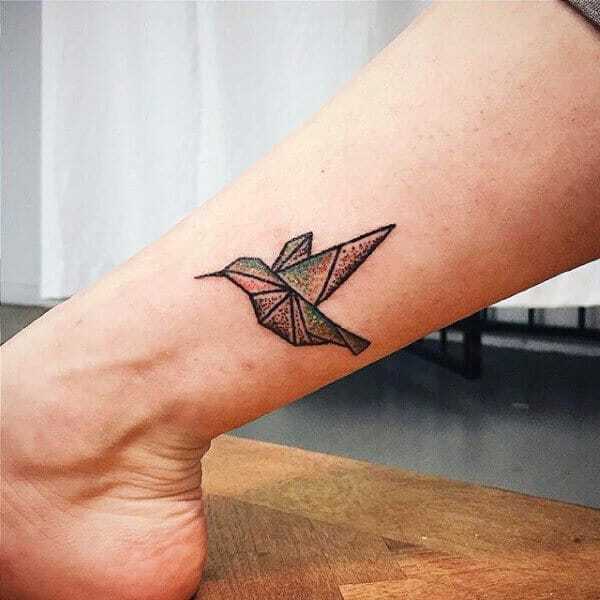 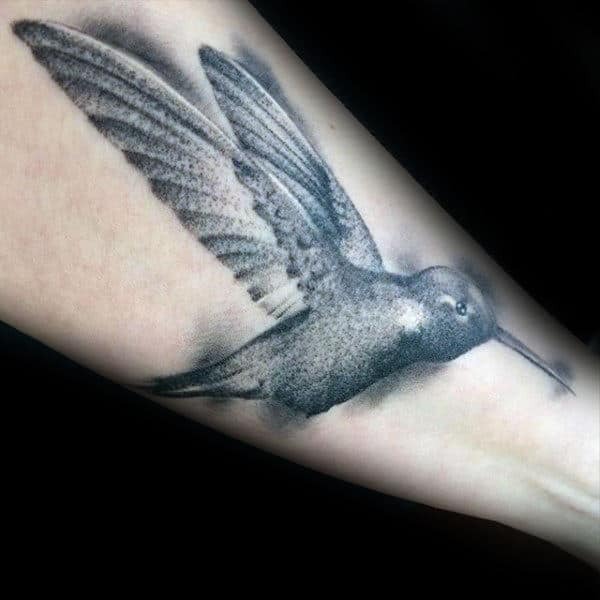 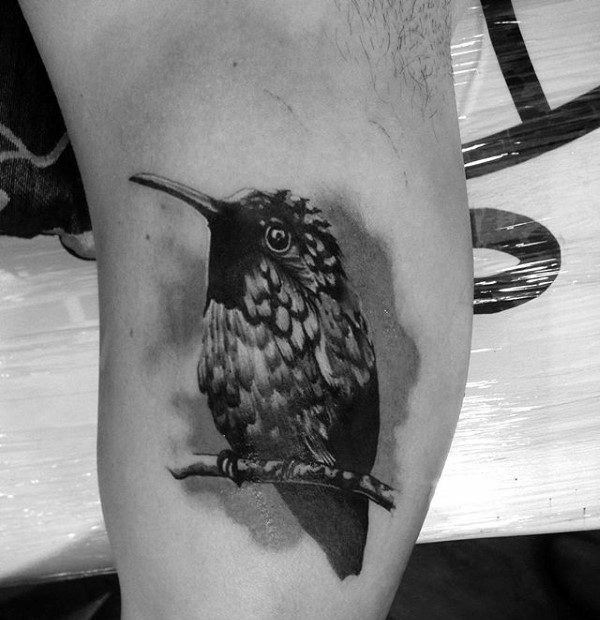 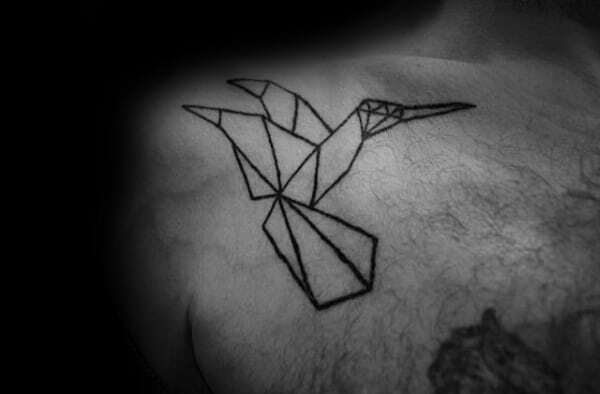 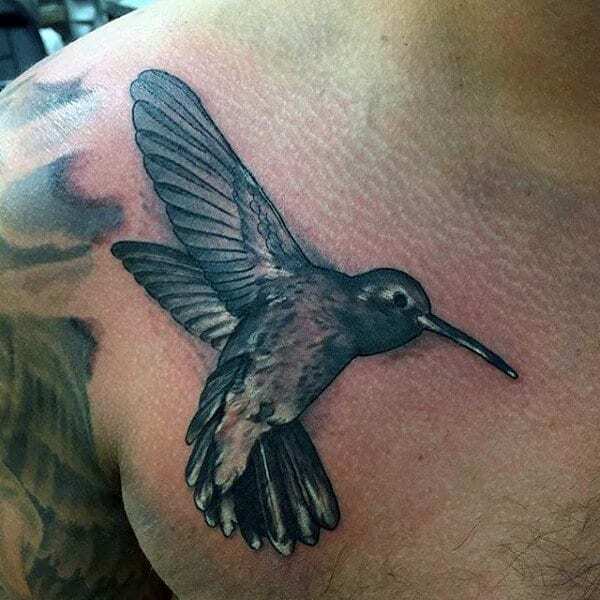 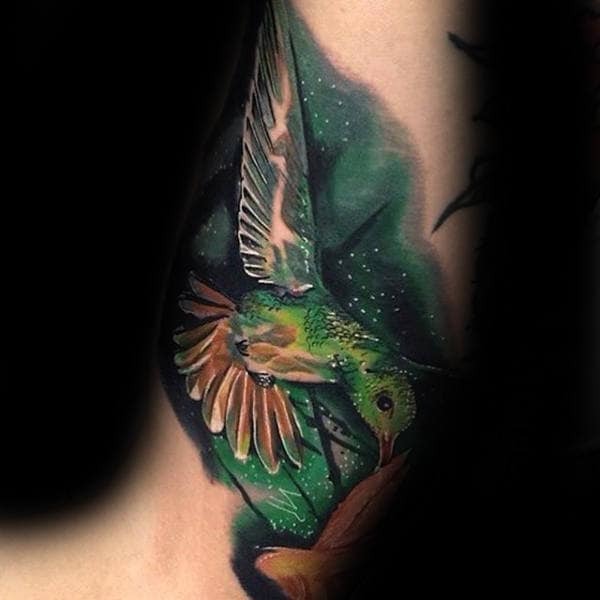 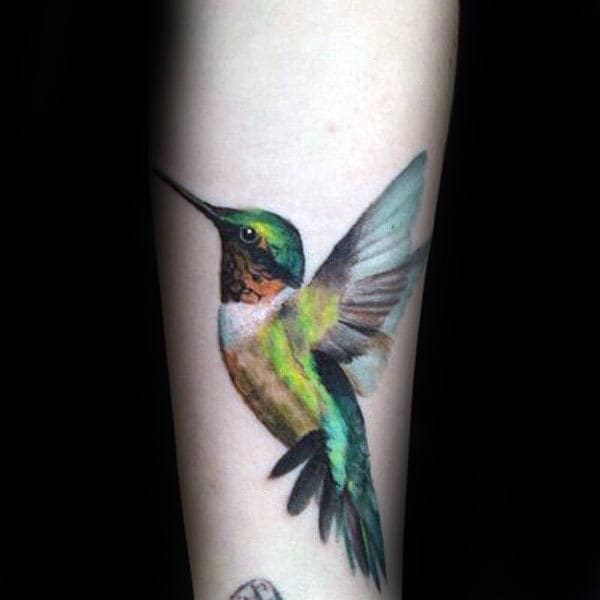 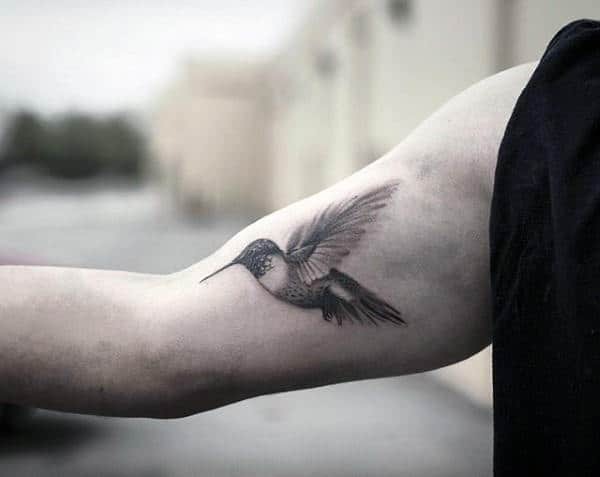 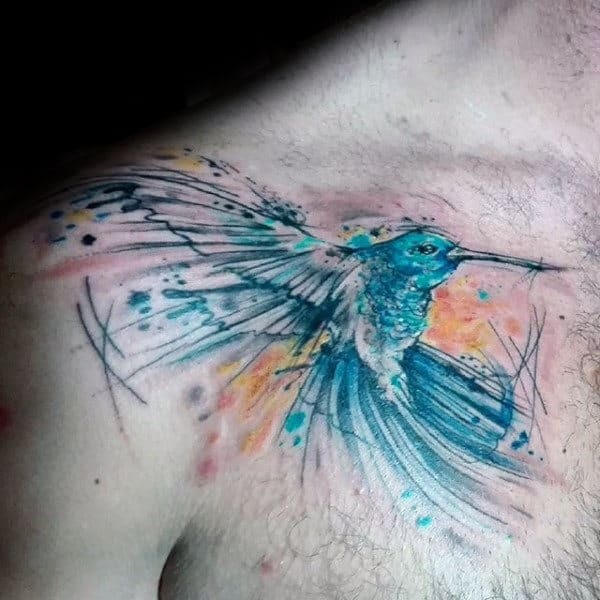 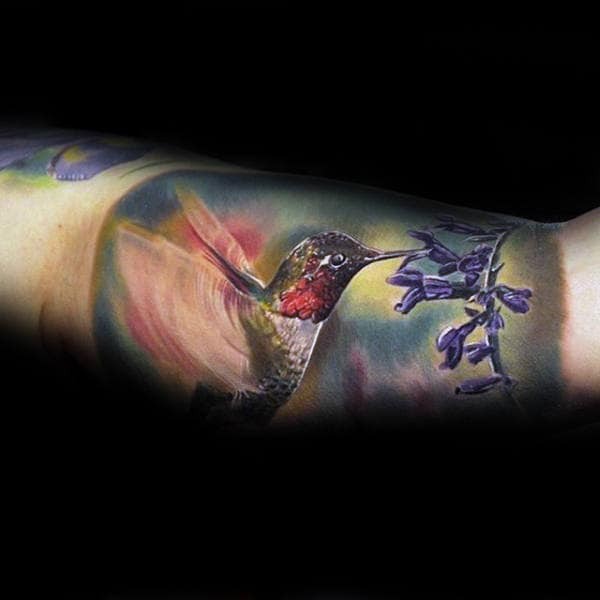 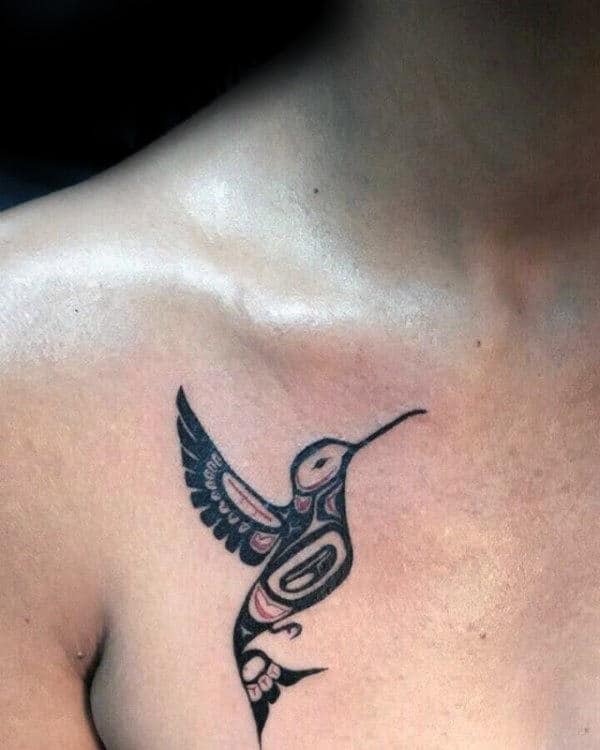 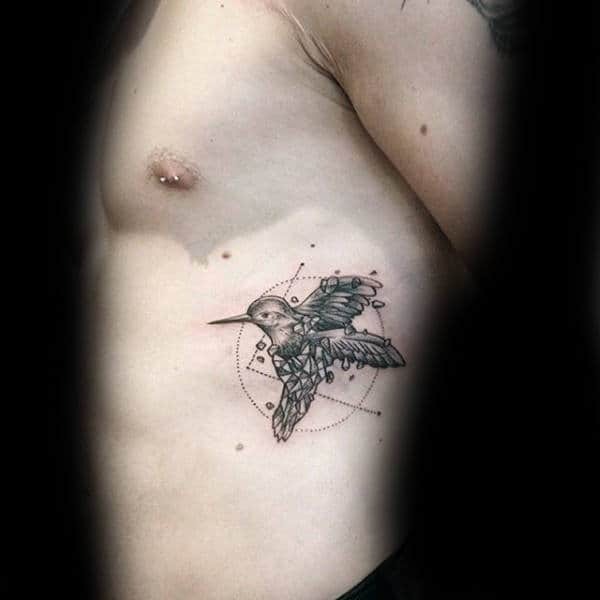 Take a peek at this enlivening list to perceive the poignant nature of hummingbird tattoos firsthand.